July 21st, 2009. 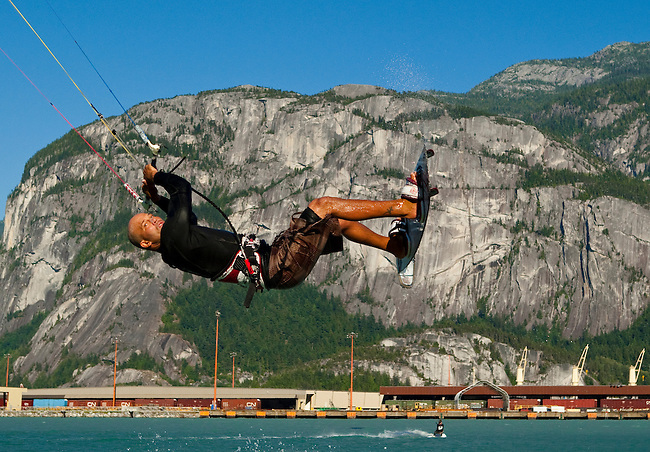 Kiteboarder Colin Ernst in mid flight , with the rock formation "the Chief" in the background. The Spit in Squamish, BC. Photo by Gus Curtis.